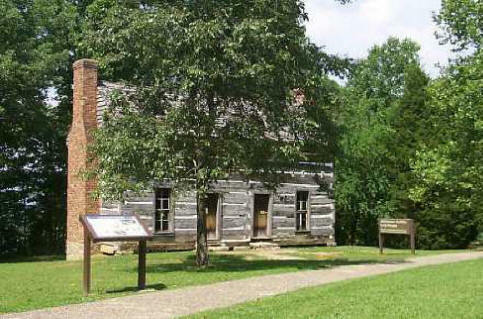 The Atkinson - Griffin Log House is an 1840 structure which contains exhibits on Central Kentucky folk architecture and a diorama of the Battle of Tebbs Bend. The structure is a 1 1/2 story double-pen log house. This building served as a Confederate hospital after he battle which was fought July 4, 1863. Bloodstains remain on the floor upstairs. The house museum is located adjacent to the Green River Lake Information Center.